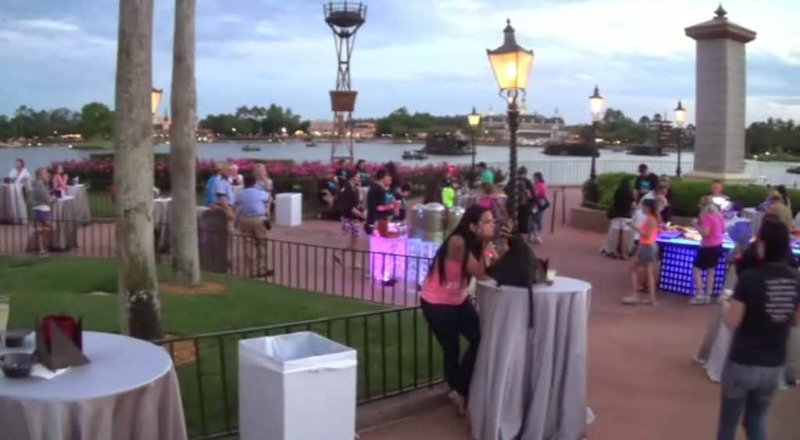 A VIP section to watch Epcot’s nighttime spectacular “Illuminations: Reflections of Earth”. 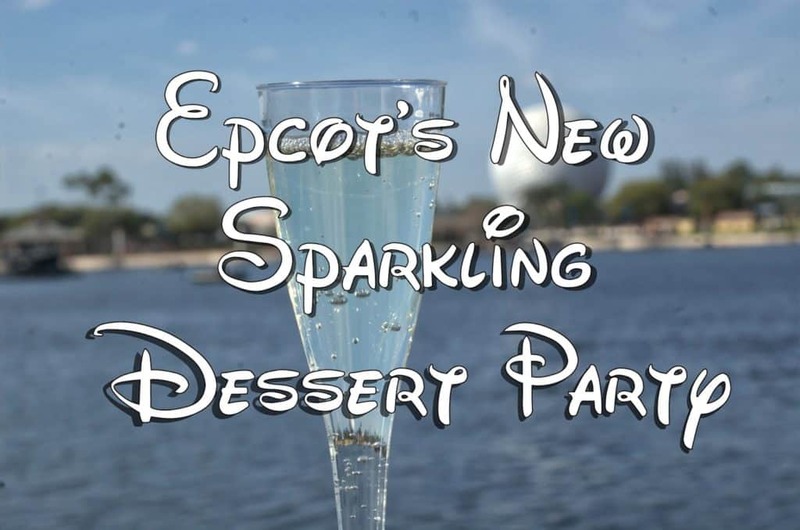 A dessert buffet including tastes from around World Showcase, and sparkling wine to help celebrate the magic… sounds amazing doesn’t it? 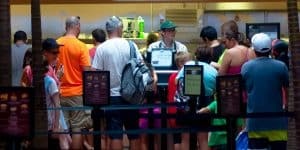 But at $49 per adult and $29 per child, is it a good value for your family? 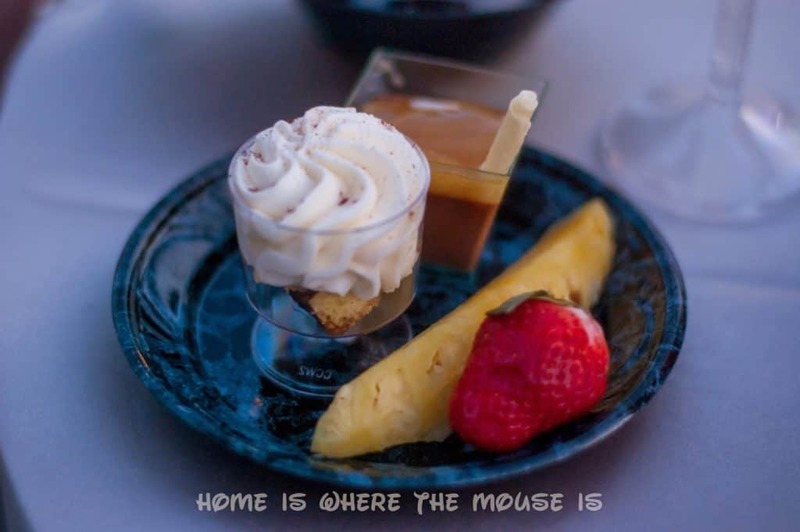 We had the opportunity to experience this new dessert party this past weekend, and perhaps our experience will help you decide. 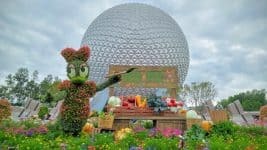 We had plans to spend the day sampling the Flower and Garden Food Kiosks around World Showcase, so when we heard about the IllumiNations Sparkling Dessert Party, we thought it would be the perfect way to end our evening. We were able to book this event using the online Dining reservation system. We’ve done the Tomorrowland Terrace Fireworks Dessert Party at Magic Kingdom a few times, so we were eager to compare the experiences. Parties are held Wednesday, Friday and Saturday nights, from 7:45pm until 9:20pm in the World Showcase Plaza. Reservations can be made 180 days in advance by calling 407-WDW-DINE. The online system is only showing the next 3 months at the time of this writing (same is true of the Tomorrowland Terrace Fireworks Dessert Party). Price: $49 per adult. $29 per child. There is no seating in this area. Small cocktail tables are spread around the plaza for guests to stand at and enjoy their desserts. There is also no bathroom at the location, so you’ll need to leave and walk over to the restrooms by the First Aid/Baby Care center. They issue you a wristband, which you can use to re-enter the party. No additional lighting is brought in, so as it gets dark the area gets very dim, and the lighting is further reduced for IllumiNations. The ground in the plaza is almost always at a slope, only a small area of it is flat. We arrived right at 7:45pm to find that people were already lined up waiting to get in. We made our way around to the check-in table where we gave our name, and were given wristbands and allowed to enter. Upon entering we saw that most of the small cocktail tables had been claimed by those families that had been lined up. We did find an available table and took turns getting our food. Before long, another family arrived and asked to share our table, which we had no problem doing. The tables are small, but 4 people could share one comfortably. Toward the front (lagoon) side of the plaza were hot beverage (coffee, tea) and cold beverage (water, iced tea, lemonade) stations, as well as 2 tables of desserts. Each table was split into two sides, with the same selections, so essentially you had 4 layouts of the international desserts, along with an assortment of fresh fruit. For our party, in place of vanilla pot de creme, a Grand Marnier pot de creme was served. In place of the sugar-dusted cronis, two stations were placed in the back of the plaza serving donuts and churros flambé. 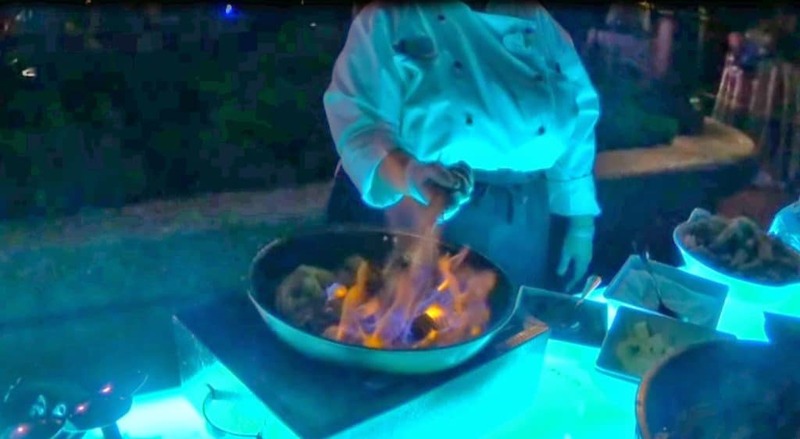 It was a breezy night, and the chefs were having difficulty getting a flame on their flambés, so the desserts were more or less just doused with alcohol, heated up, and served with ice cream and some toppings. I am sure that if anyone had asked, they would have given you a donut or churros without the alcohol. The Kahlua in the churros and the rum in the donuts was very strong. The Grand Marnier pot de creme similarly had a very strong flavor from the alcohol. For us, the stars of the dessert lineup were the tiramisu, which Lisa loved, and the ice cream cart, which I enjoyed because it had Mickey Premium Ice Cream Bars, of which I had two. 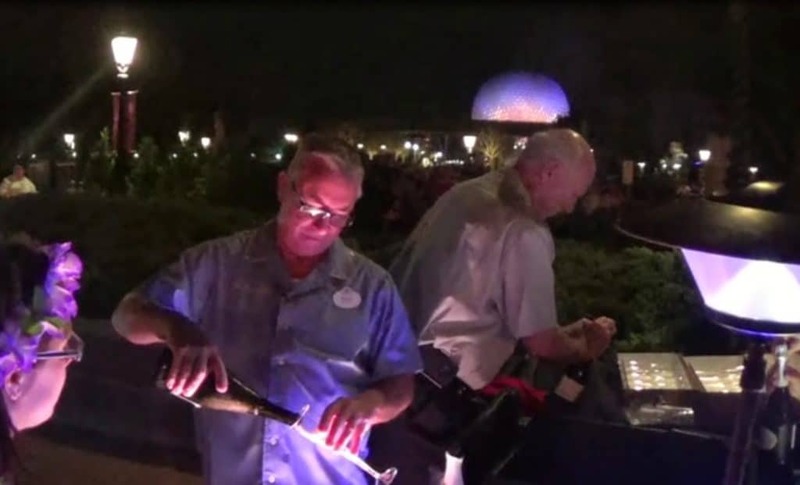 By far, the hardest working Cast Members there were the ones at the sparkling wine table, where they couldn’t seem to get the bottles opened fast enough. They were serving both a sweet and a dry sparkling wine, along with a sparkling cider for a non-alcoholic option. They ran out of the sweet option pretty quickly. When IllumiNations ended, they were still serving. While a number of guests were making for the exit even before the fireworks ended, just as many made a bee-line for the wine table, and they were not denied one or two last glasses to enjoy as everything was wrapping up. 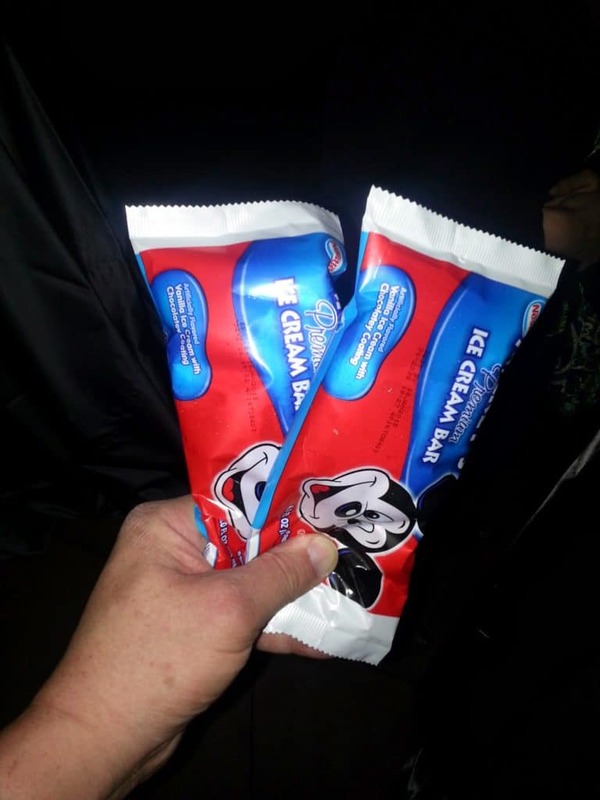 The mom we shared our table with even got some ice cream bars to go! The pricing for the Tomorrowland Terrace Fireworks Dessert Party varies a bit depending on the date, but it is definitely less expensive than the Illuminations Sparkling Dessert Party, at Around $28 per adult, and around $15 per child. It also has assigned tables, seats, and a larger variety of desserts, and is in a partially enclosed area giving you some protection from the elements. 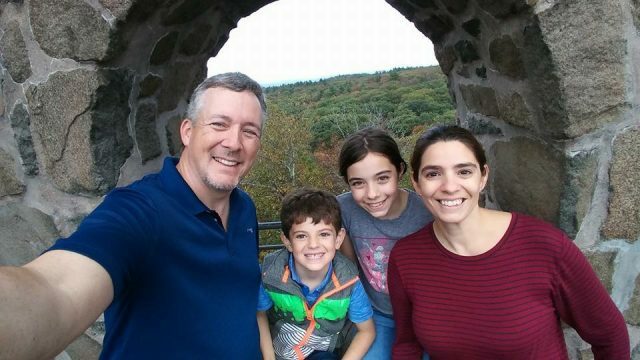 Another plus has been the addition of a PhotoPass photographer to take pictures of your family. The viewing angle for the fireworks is not perfect, but Tinkerbell does fly almost directly overhead, which is very cool. The Main Street Electrical Parade and Celebrate the Magic projection show on the castle, which happen during the party, are better seen from a closer vantage point, so that’s a trade-off you make for being in the party. On some nights, there may be two parades and two Celebrate the Magic shows, so on those nights you could see those after the party. While it lacks seating and has a more limited dessert menu, the view of IllumiNations from the Sparkling Dessert Party is the best we’ve ever enjoyed over our years of seeing the show. The sloped surface (which may be why there are no seats) actually makes it easier to see over the heads of anyone standing in front of you. For our party there was more than enough room for everyone to spread out and not be on top of each other. 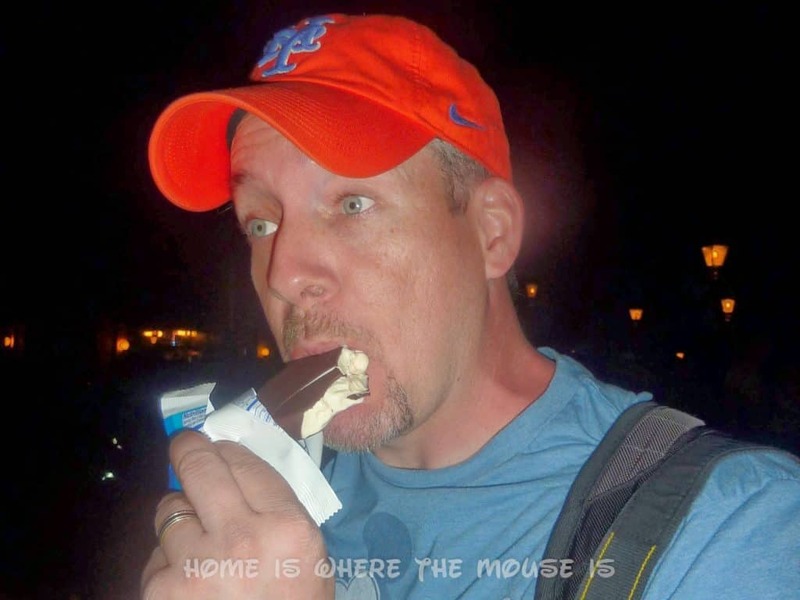 For adults, the inclusion of alcohol is something you’re not going to get in Magic Kingdom. Keep in mind that it’s brand-sparkling new, so there could very well be changes based on how things go. To us, the IllumiNations Sparkling Dessert Party definitely seems to cater to adults. That’s obviously due to the alcohol being included, but also because the desserts themselves were also things adults would enjoy more than kids. Parents of younger children may want to take extra care to make sure their kids don’t partake of the desserts containing alcohol, or maybe even coffee. Without the ice cream cart there, I really don’t think this would be kid-friendly at all. 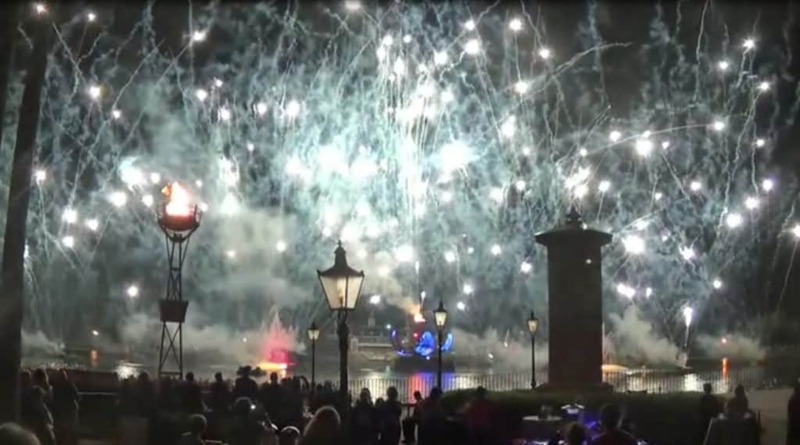 If the idea of sampling a few desserts and enjoying a great view of IllumiNations while sipping sparkling wine sounds good to you, then you may want to consider trying it out. 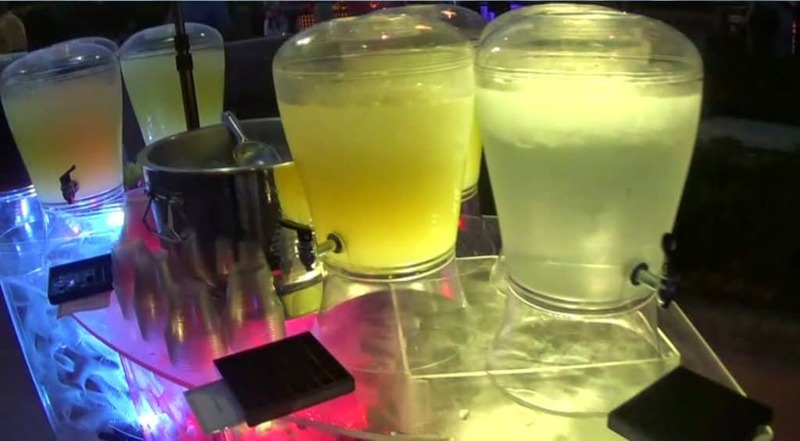 The hefty price is definitely due to the fact that alcohol is being served, so the “value” might very well be measured in how much you consume. 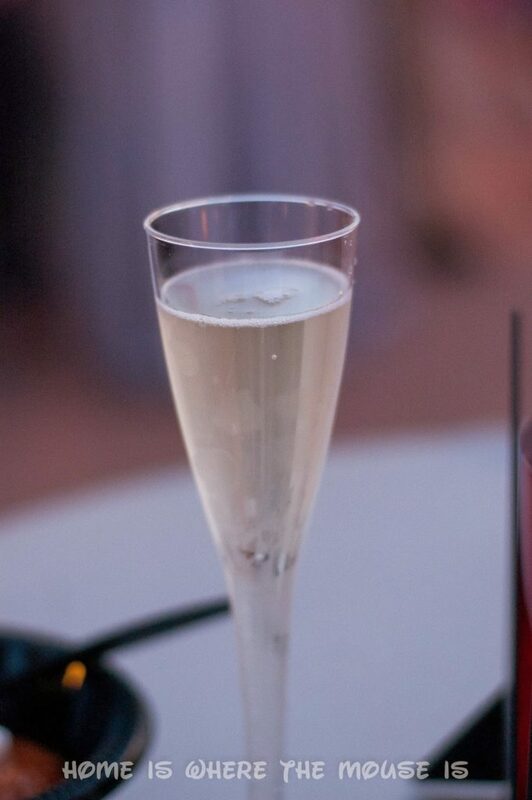 Champagne by any other name? Only Sparkling Wine from the Champagne region of France can be called that. If one glass of wine, beer, or other libation is good enough for you while taking in IllumiNations with a select dessert as opposed to a limited assortment, then the World Showcase offers many choices for you to pick and choose how you’d prefer to enjoy the show. 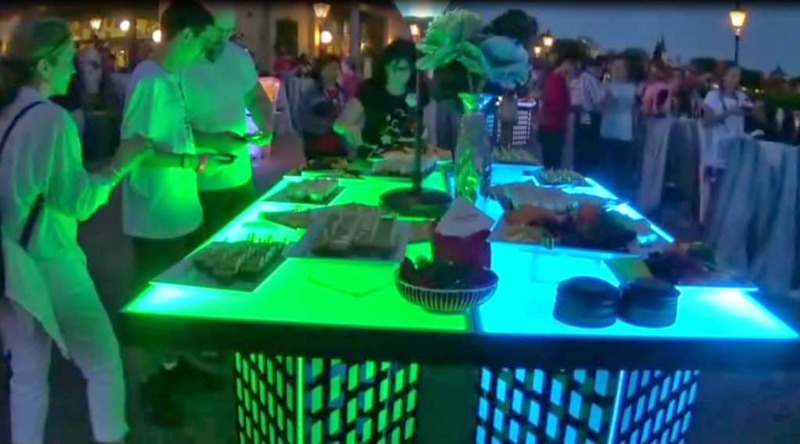 If traveling in a large group of family and friends, you may even want to consider contacting the Disney events planners and see about reserving your own private dessert party area around World Showcase, especially considering that a group of 10 adults would be paying nearly $500 for the Sparkling Dessert Party. So, has our experience swayed you? Will you be enjoying the Sparkling Dessert Party on your next trip? Let us know in the comments below! For me, it's the lack of a reasonable seating area that really kills the value of this offering. For that price, I want to be able to relax and enjoy the show and the desserts, and that's harder to do standing at a table at the end of a day spent in the theme parks. 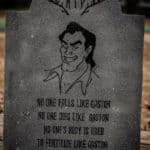 I think that will be a deterrent for many people. Once you've walked around and seen all the offerings, there's not much left to do but stand there and eat/drink. Hopefully you will and you'll enjoy it! Thanks for the review! We are trying the party out tomorrow night. The sloped area has me concerned but hopefully it won't be to bad. It's not too bad. It's enough to be noticeable and most people would not have any issues. I just felt everyone should be aware just in case. Thanks for your thoughts. 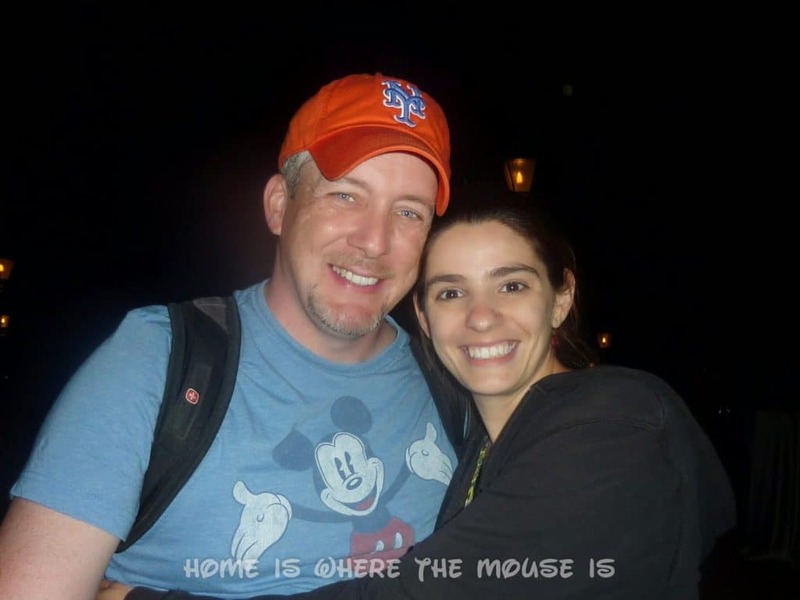 Our older daughter is traveling with us next trip so the Illuminations party sounds like a great date night for my husband and I while our daughter entertains her younger brothers. Sounds like a fun splurge! This looks amazing!! Would love to try this.. I hope you enjoy it if you do get to try it! Thanks for reading! Thanks so much for your thorough review. 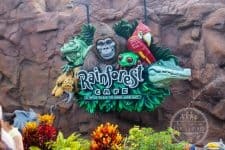 I've always been interested in some of these special dessert party offerings & I love tiramisu, so I might have to check this out next time I go since I like to try at least 1 new thing each trip down. Thank you! We always try to do something new each trip as well. It's one of the things that keeps us going back year after year! Thanks for the review. I abandoned the idea of enjoying dessert because they have nothing I would particularly eat. I did not cancel because the view of the fireworks will hopefully justify the price. As my daughter pointed out it will be nice not to have people crushing her as we try to find a spot to see the fireworks. Thanks for stopping by!! Because we did the dessert party, we didn't FP+ Illuminations, but my understanding is that FP+ uses the same area. On dessert party nights, I am assuming the area is shared, with the dessert party getting most of it, and FP+ getting the rest. On non-party nights, I would figure FP+ would get to use the whole section?? We will probably FP+ illuminations on our next trip, so I'll be able to compare the view then.